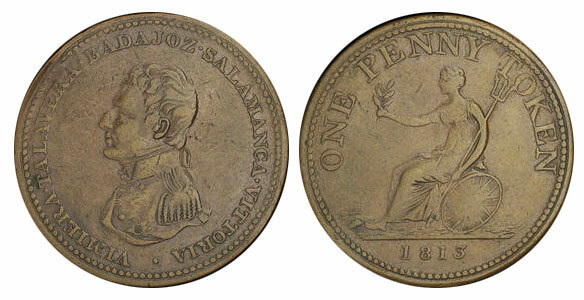 There are several obverse and reverse for this token. Text : Vimiera Talavera Badajoz Salamanca Vittoria. 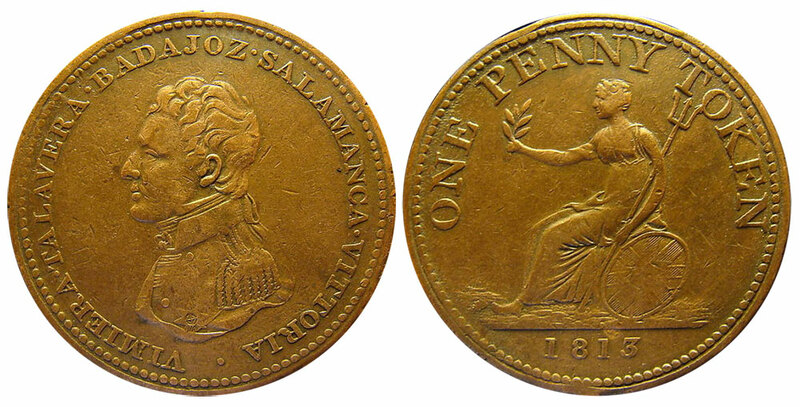 One Penny Token 1813.